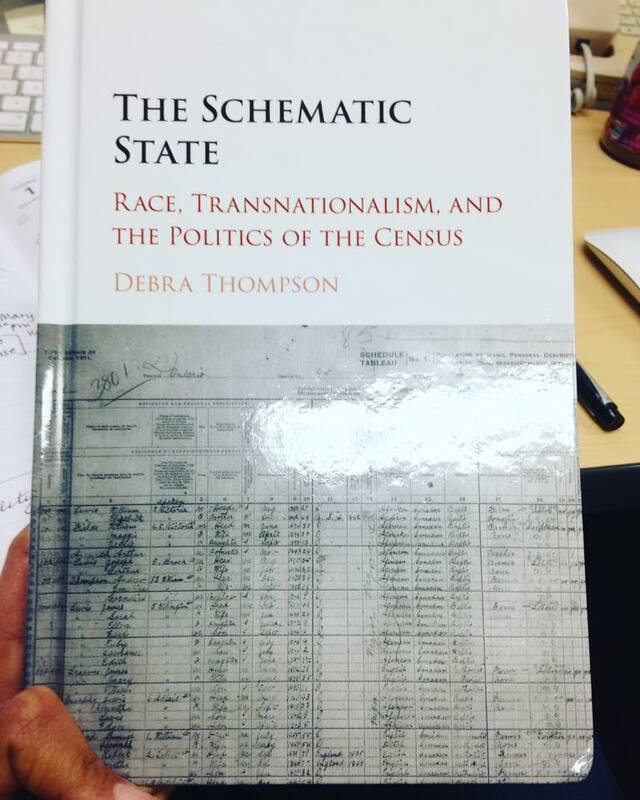 Professor Debra Thompson’s book, The Schematic State: Race, Transnationalism, and the Politics of the Census (Cambridge University Press, 2016) is being recognized with two book awards from the American Political Science Association: the best book award in race and comparative politics from the Race and Ethnic Politics section and an honorable mention for the Robert L. Jervis and Paul W. Schroeder Best Book Award of the International History and Politics Section. The Schematic State is a study of the political development of racial classifications on the national censuses o f the United States, Canada, and Great Britain. The book maps the changing nature of the census from an instrument historically used to manage and control radicalized populations to its contemporary purpose as an important source of statistical information, employed for egalitarian ends. Ultimately, the research exposes race-making as a process marred by contradiction and demonstrates that the primary goal of the schematic state is to make the population legible, turning the politically contested substance of race into stable and identifiable categories to be used as the basis of law and policy. Professor Thompson will receive both awards during the annual meeting of the American Political Science Association in September. New to campus, Professor Thompson will instruct her first course this fall; PS 204 Intro to Comparative Politics. We are excited to have her join our department and the university community. News » Prof. Thompson gathers awards for her new book!